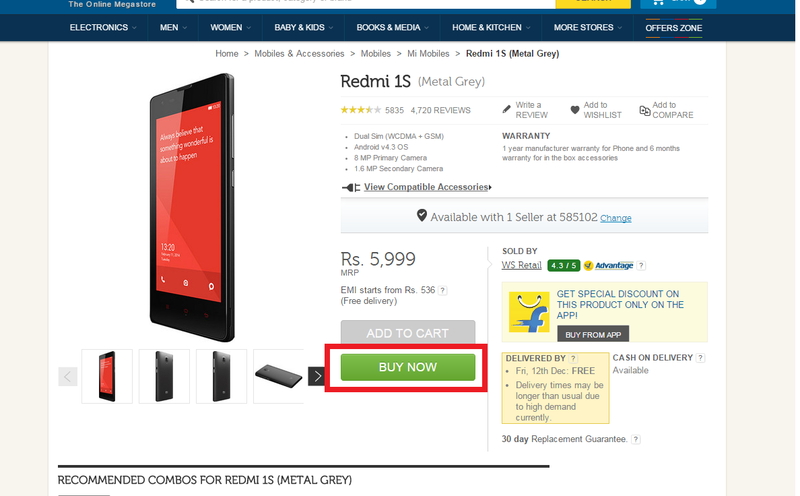 Because of high demand Redmi 1S sold out in second exclusively on e-commerce site flipkart. Past 3 months more than 6 time phone has sold out in second only to registrar customer. If you were waiting to buy this phone, this is the time to buy this phone. The Redmi 1S is now available on flipkart without registration; you can directly buy this phone now..